It’s official. I have been spending too much time in the same room as my colleague Adam. His weirdness is rubbing off on me. A couple of weeks ago I took the piss out of him for raving about having new ‘box-fresh’ trainers. Today I received these lovely purple trainers in the post. 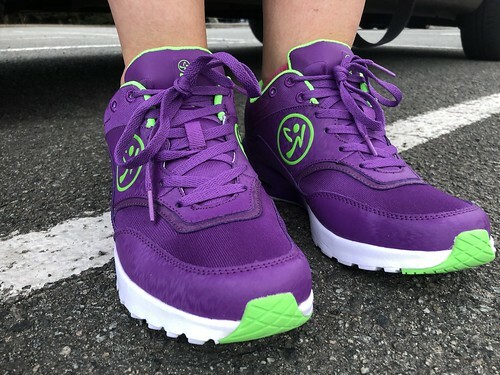 I have to admit I am disturbingly happy with them and ever time I saw my Zumba-ing feet tonight in the the mirror it made me smile. 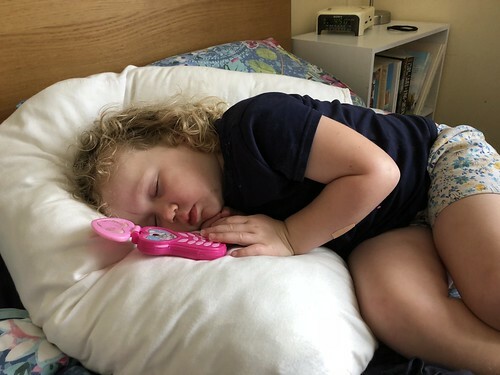 It is 9.15pm and The Little Miss has only just gone to sleep. 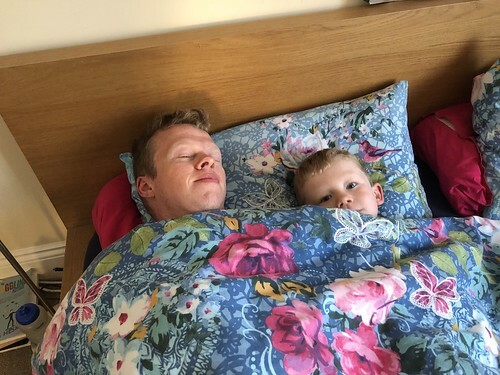 At about 4.30pm The Little Mister came in and said ‘erm Mummy, Eliza is asleep’. At which my heart sank and I knew she was going to be faffing about at bedtime. She had even taken her off to my bed and snuggled down. It made teatime and bedtime very tricky! It has been the most glorious day. 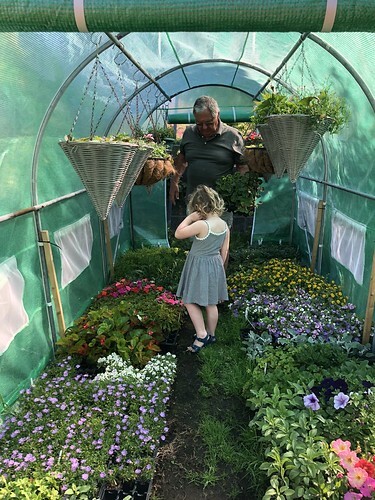 We went to church and then spent some time in the garden. 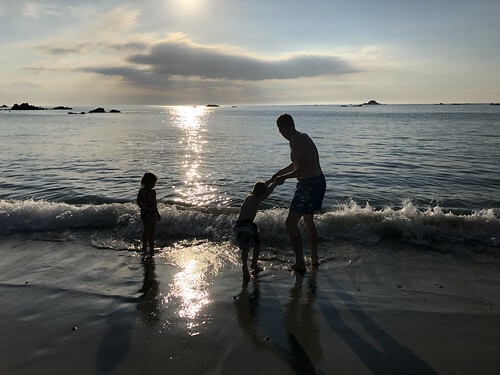 I went to a Zumba class and then we took the kids to the beach for a splash about. I was intending on going swimming but it was absolutely freezing! I love evenings like this. It was warm and gorgeous and there was a band playing at the hotel up the road. The beach was full of families playing, eating, chilling and being together. Guernsey at it’s best. 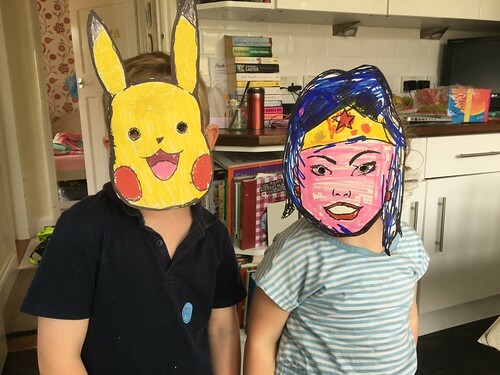 I was busy at music practice today and when I got home I was greeted by Wonder Woman and Picachu -The Mister had been busy drawing them masks for then to colour in. Clever Daddy! 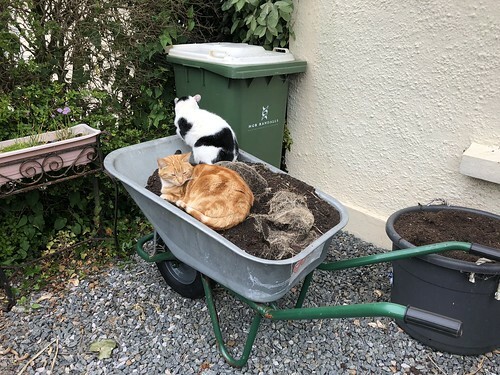 I don’t know why the two cats like sitting on this barrow full of soil. I am guessing that it is warmed by the sun. 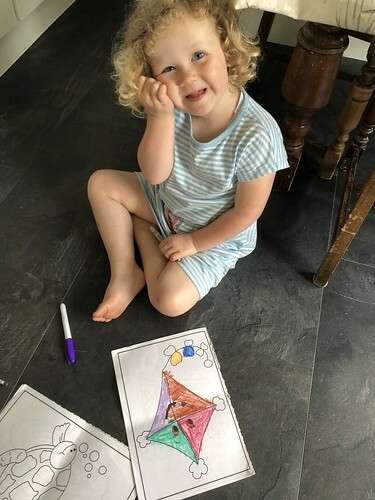 The Little Miss is really starting to get into colouring and she is doing a brilliant job. She happily said on the floor whilst I was cooking and picked the colours herself and managed to colour in the lines. She was so pleased with herself. 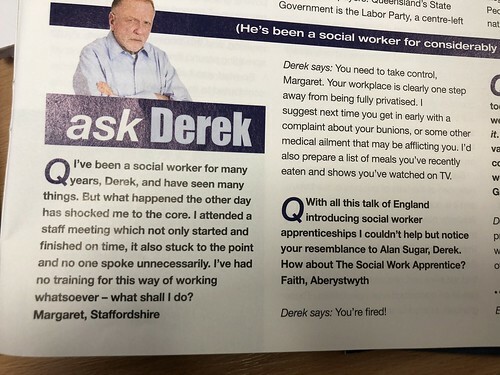 This fake Agony Aunt article in the BASW magazine made me howl with laughter. 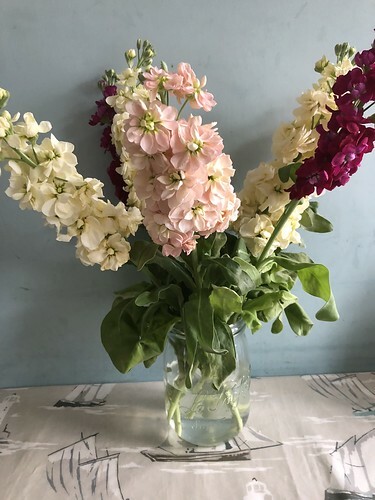 This morning I woke up to these gorgeous boys. It makes me smile to see them together.